Recently, Lexmark took their roadshow to Las Vegas, where they met with more than 40 dealers from the region. The event — one of six the company hosted across North America this year — featured networking sessions, briefings and breakout sessions, and in Vegas, the opportunity to drive a high-end racecar (Lexmark proved their wisdom by not letting us drink adult beverages until we safely returned the cars to their stalls). During one of the sessions, experts from Lexmark including Government Industry Consultant Rob Johnson, Healthcare Industry Consultant Gary Davis and Solutions Enablement Manager Jamie Wolf, fielded questions from the session’s emcee and leader of Lexmark’s Business Alliances team, Phil Boatman. 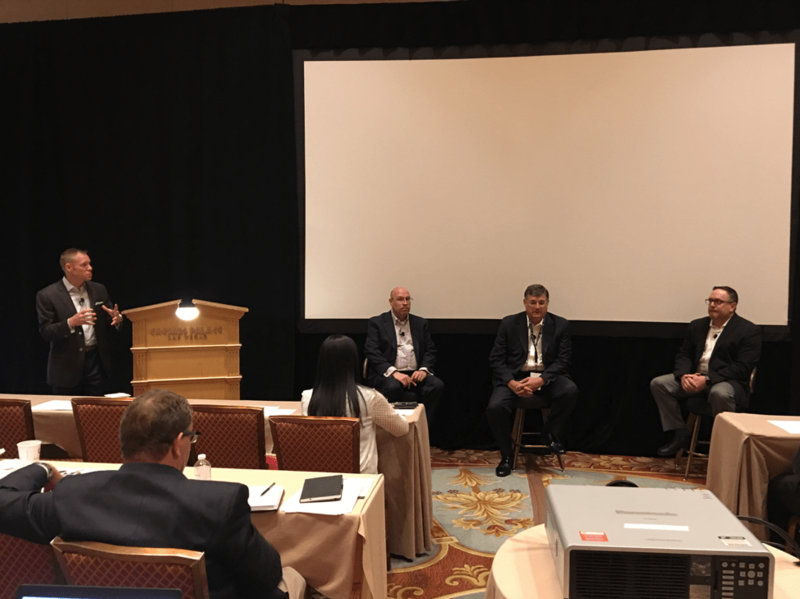 The session focused on how Lexmark’s portfolio can help dealers solve their healthcare, government and education customers’ problems. One year before the Affordable Care Act went into effect, President Obama signed a lesser-known bill — the Health Information Technology for Economic and Clinical Health (HITECH) Act. The law was created to stimulate adoption of electronic health records (EHR). “The HITECH Act is a carrot and a stick,” said Davis. The carrot, he explained, is that the HITECH Act offered $2 million to hospitals and $40,000 to private physicians to adopt electronic health record (EHR) platforms. As for the stick? It is that the government — which pays for 48 percent of all medical bills in the U.S. — would cut reimbursement through Medicare and Medicaid if healthcare organizations didn’t make “meaningful use” of EHRs. One requirement of complying with meaningful use involves satisfying certain “quality measures” — metrics developed by the Centers for Medicare & Medicaid Services (CMS) to quantify medical standards. “If a hospital system doesn’t do well on its satisfaction scores and they get hit with the bad grade, the very next year their reimbursement is cut,” said Davis. “So, what’s the most important thing in healthcare organizations?” asked Davis. “Patient care, not copiers.” He noted that dealers aren’t going to grab any healthcare professional’s interest by asking about expiring leases. Instead, dealers need to start the conversations off with how their hardware and software can help them provide better patient care. The conversation needs to focus on the complete capabilities of these devices, and how they can be critical tools for automating processes and protecting patient data. Perhaps it’s a capture solution that can streamline new patient onboarding, or a pull print solution to ensure that healthcare providers don’t violate strict privacy rules. Ultimately, it’s about educating customers about how your solutions will help them optimize their patient care. Phil Boatman making his point to the panel consisting of Rob Johnson, Gary Davis and Jamie Wolf. As with the healthcare industry, educators don’t want to hear about the lease that is about to expire. They too, have bigger fish to fry. 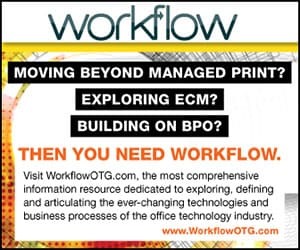 But for the dealer who can demonstrate how their copiers can do more than … well, make copies, there is a lot of opportunity to grow in existing education accounts, and maybe even pilfer a few from your competitors. One suggestion Rob Johnson mentioned was to engage your education customers with a testing and grading solution. Lexmark’s solution is a cost-effective alternative to automated test grading solutions like Scantron, which requires proprietary media and scanners. Instead, educators can use ordinary paper and MFPs to create and print tests, then automatically scan and grade them after students have turned them in. But it’s not just a matter of saving. The solution can help teachers actually improve the standard of education each student receives. Since testing and grading are automated, teachers can spend more time helping students. In addition, the solution can compile test results into a number of reports which can be analyzed by teachers to optimize their lesson plan. Johnson also had some pointers for dealing with government accounts. “We’ve seen success with kiosk usage at the local and state level,” said Johnson. He explained that, at one account, when people visit government offices they can spend anywhere between 20 minutes and three hours checking in, with the latter resulting from inefficiencies creating bottlenecks during check-in. “Citizens are interacting with a live person and saying ‘while I am here, can I see X, Y and Z?” he said. But with self-service kiosks, the public are presented with only the options that are available to them, which keeps the line moving. “Now, even on their heavy days, the lines are no longer than 10 minutes on average,” he said. Ultimately, one of the main takeaways from the session was that dealers must bring more to the conversation than “I heard your lease is coming up soon.” To be successful, you’ve got to learn and understand each of your different customers’ unique business struggles, and find a way to show them how your portfolio of hardware and software can solve those specific problems. Does Your MPS Program Cause More Pain Than Profit?